ICSF serves in developing countries, in which significant proportions of the population live below the poverty level (based on that country's statistics). Patients treated by ICSF are initially identified by local doctors and consist primarily of children suffering deformities that the local doctors are unable to treat due to inadequate training and expertise. Also entering into the patient selection process is the patient's economic status, with priority being given to impoverished children. "... I think the moms are more my patients than the kids are. There's something about a mother of a disfigured child. They've spent years thinking it's hopeless and then it's fixed. It's a wonderful feeling to relieve their anxiety." 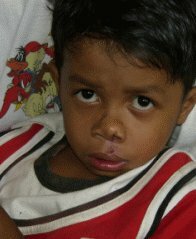 ICSF provides free surgery to third world children suffering from treatable disfigurements. While other organizations perform similar services, ICSF is unique in its philosophies and methods of operation. ICSF believes that large scale missions, in which large numbers of children are treated in a short period of time, are not the answer to the problem at hand – the problem of children suffering with correctable deformities in the developing world. In some of these large missions, up to 180 children are operated upon for cleft deformities in as little as a five day period, which may require surgeons to operate on as many as six children in one day, and then leave a day or two after the last surgery. Some of America’s most renowned cleft surgeons take several hours to perform these delicate operations, a must in their minds for achieving beautiful and long-lasting results. ICSF believes that third world children are no less deserving of similar treatment. ICSF believes so much in delivering quality to these children that we have, on more than one occasion, traveled to a remote region of the world to treat one child in need. ICSF schedules its missions for much longer periods of time, so each child may receive a full allotment of time and individualized care, as well as post-surgical follow-up. Furthermore, realizing that the best answer is to have well trained local doctors, ICSF identifies and invites dedicated local surgeons to be trained in an intensified, one-on-one basis over a period of years, enabling them to treat and care for their own patients. These trained surgeons will then not only be able to serve each child individually at a normal pace, but will be available for their patients year-round as is the standard in America. People often ask what separates ICSF from other organizations that do volunteer surgery in the third world. Among other differences, we empower and train local doctors in developing countries that they may eventually treat and care for their own patients at a high standard of care. In other words, we follow the ancient China proverb: “give a man a fish and feed him for a day – teach a man to fish and feed him for a lifetime”. A beautiful example of this is Dr. Tram Anh, a Vietnamese maxillofacial surgeon. Dr. Williams first met Dr. Anh six years ago when he served on a mission with a well-known organization to her hospital, Hai Phong Children’s Hospital. Even though the organization Dr. Williams came with on that occasion states its intent of teaching local doctors, there had not been much teaching on that particular mission due to the large number of patients needing treatment in a short period of time. At the end of that mission, the Vietnamese doctors, somewhat frustrated, approached Dr. Williams privately and said, “Can you come back by yourself and teach us how to do these operations ourselves?” He did return, many times over the last six years, each time training Dr. Anh in cleft lip and palate surgical techniques. On a recent mission to Hai Phong Children’s Hospital, Dr. Anh proudly showed Dr. Williams some of her first patients she had treated independently. Dr. Williams found that Dr. Anh's surgical results are excellent and far surpass the results he has seen from other American volunteer surgical missions – and he has seen many. Now Hai Phong Children’s Hospital does not have to rely any longer on visiting volunteer teams and watch from the sidelines, as these teams perform large numbers of surgeries in a week or two, and then leave suddenly with large numbers of patients still in the critical postoperative healing phase. This hospital, which serves a population of 8 million, now has a doctor who can do beautiful and competent surgeries at a normal pace, giving proper time and attention to each patient and giving each patient year-round post operative care. Hopefully, you will now understand that the long-term difference ICSF is making separates us from other organizations. Dr. Anh will now treat hundreds of patients at her hospital each year and will train her own students who will then competently treat their own patients. This is why there really is no end to each donation you make to ICSF and how far it will go toward ensuring that children in the developing world are freed of the bonds they endure due to untreated deformities. Please join us as we empower doctors such as Dr. Tram Anh to treat their own patients, a self-perpetuating solution to the problem of third-world children needlessly suffering correctable physical disfigurements.